The funeral service will be held at 11:00 a.m. on Thursday, April 18, 2019 at Climax United Methodist Church with Rev. Wayne McDonald, Rev. Lynn Hurley and Rev. Doug Halstead officiating. Graveside services will be held on Saturday, April 20, 2019 at 2:00 p.m. at Glade City Cemetery in Blandinsville, Illinois. Pastor Beth Nelson will officiate. Full military rites will be conducted by the Macomb American Legion and the Macomb V.F.W. at the cemetery. Clugston - Tibbitts Funeral Home in Blandinsville is in charge of local arrangements. Bill Cosson, Charles Hadsock, Chip Wray, Butch Mosley, Philip Dodson and Randall Jones will serve as active pallbearers. Charles Hensley will serve as an honorary pallbearer in Illinois. The family will receive friends from 6:00 to 7:30 p.m. on Wednesday, April 17, 2019 at Ivey Funeral Home. Online visitors may sign the guest register at www.iveyfuneral.com. Memorial donations may be made to Habitat for Humanity International, 322 West Lamar Street, Americus, Georgia 31709-3543. 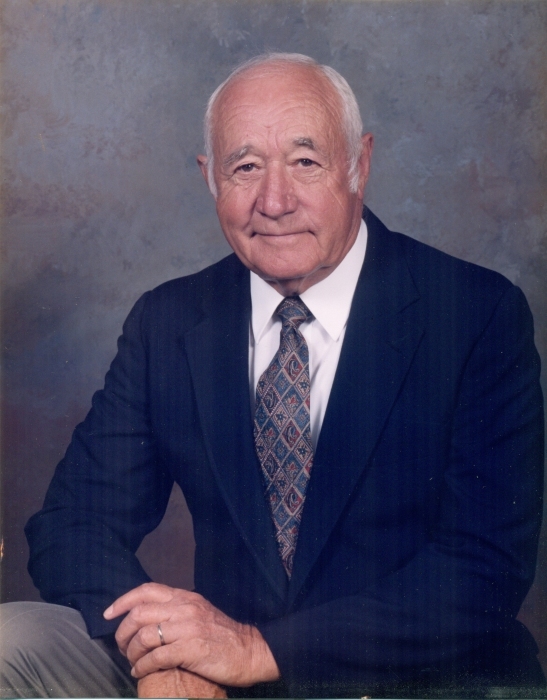 Robert Eugene Jones was born August 26, 1924 in Blandinsville, IL, the son of Erwin and Dorothy Leavitt Jones. Bob proudly served his country as a soldier in the United States Army during the occupation of Japan in the South Pacific. He graduated from The University of Illinois with a bachelor’s degree. Bob married the love of his life, Marjorie Jane Banks, in 1948 and managed grain elevators throughout the United States ending his career in Port Lavaca, TX. In 1994, Bob & Marge moved to Climax to enjoy their golden years. Bob was a member of Climax United Methodist Church, the Climax Community Club, the Golden Agers and served as a Mason for over fifty years. He served on the Climax City Council as well. As a World War II veteran, Bob experienced things most people have never thought of and yet he kept a positive attitude. (He probably learned the skill of sleeping anywhere in any position during his deployment.) Bob loved the outdoors and enjoyed gardening, growing pecan trees and fishing. Bob had a knack for making a delicious loaf of homemade bread that he shared with friends and neighbors. Sports could catch his attention especially if Florida State or Auburn was in the mix. Survivors include his children, Steve Jones, and his wife, Patty, of Selah, WA, David Jones, and his wife, Kathy, of Garden Valley, PA, Amy Jones, and her husband, John Sistrunk, of Tallahassee, FL, and Jane E. Jones Speake of Athens, GA; his grandchildren, Kathryn E. Jones, Adam Jones, Alice Speake, and Amber Weber Link, and her husband, Mike; and his great-grandchildren, Vincent Lagrone-Speake, Jacob Link, and Andrew Link. In addition to his parents, Bob was preceded in death by his wife of 64 years, Marjorie Jane Banks Jones; and his brother, Erwin Jones, Jr. The Jones Family would like to extend special gratitude to Big Bend Hospice, especially Alison and Patricia, for their kindness and compassion. The Jones Family would also like to express their sincere gratitude for his caregivers over the last year, Jackie Hill, Deleisa Graham and Beth Monexant.